According to historians, the total number of Babyn Yar victims between the years 1941 and 1943 range from 70,000 up to 100,000. 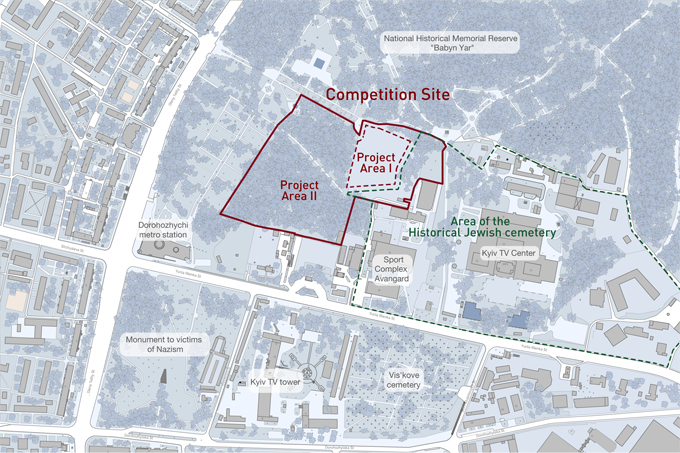 Task The task of the competition is to design the Babyn Yar Holocaust Memorial Center that will function in line with the BYHMC mission. It will include exhibition areas and offer education and research programs. The BYHMC is envisioned as a place of information, reflection, debate, research and contemplation and seeks to involve as many people as possible from a wide range of socio-cultural, religious and educational backgrounds and age groups to actively examine and engage with the events surrounding Babyn Yar. 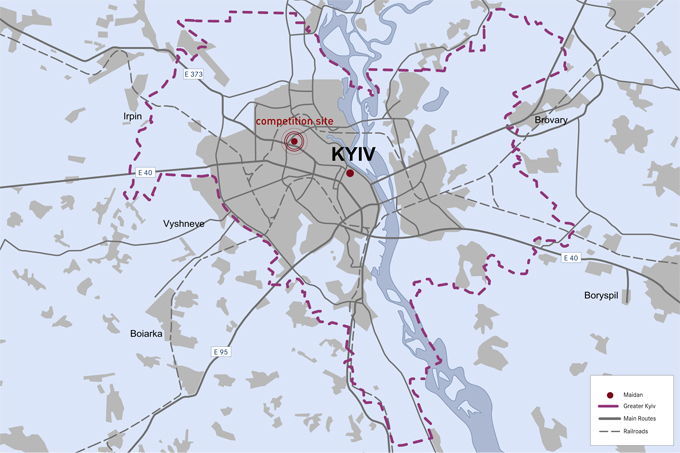 The Babyn Yar Historical Memorial Center (BYHMC) in Kyiv is a national and international project. BYHMC has the potential to become a place of learning for the next generation beyond the borders of Ukraine. A place with its own narrative and visitor-oriented format, which stands out in the context of the international benchmarks – places on the History of the Holocaust. BYHMC also exists beyond these inconceivable dimensions as an example pointing to the fundamentals of human action and the systems of totalitarianism, and the possibility to understand the truths and stories that lie within them. It can be a place of learning and comprehension for the next generation. The tasks of the organization are to protect human rights and fundamental freedoms, to raise the level of education, to support educational programs, to develop science and scientific achievements, to develop international cooperation of Ukraine, to protecting cultural heritage, to promoting the implementation of similar projects in Ukraine and abroad. The concept for the BYHMC is based on a museological concept developed by the promoter in cooperation with historians and international consultants. Located on an authentic site of history and within the framework of the existing landscape of memorials, the BYHMC shall become a place of memory and a multifunctional museum that connects various narrative threads of history in modern and up-to-date exhibitions. With innovative and internationally oriented places of learning and examining a future for history, it shall be an institution of scientific research as well as a place for educational and methodological activities. First and foremost, the BYHMC shall be more than a place of memory and exhibition of the past - it shall an active center and a symbol for civic sense and tolerant societies within the local and international context, a dynamic contemporary place true to its social, civic and cultural responsibilities. It will acknowledge the historic significance of the site and its adjoining institutions, providing a connective fabric across the authentic site. Specific programs will be designed to engage university students, local schoolchildren and families, young professionals, and patrons. It will also establish networks with other communities in the region and worldwide. The Babyn Yar Holocaust Memorial Center will be situated on the authentic site (in proximity to the authentic site), approx. 6km to the Northwest from the historical center of Kyiv. The site is adjacent to the National Historical Memorial Preserve “Babyn Yar” where memorials and monumental objects -dedicated to the various groups and individual victims of the Babyn Yar massacre- are dispersed in various locations.